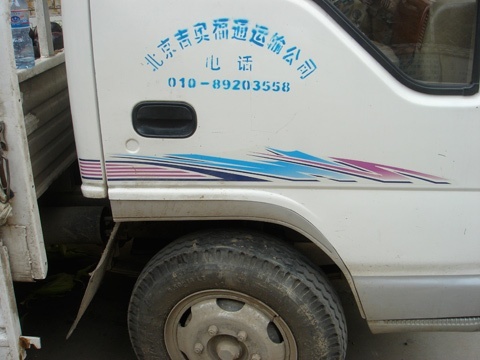 The white Jinbei minibus, sporting flashy speed stripes, is a very common sight in Beijing. The city is full of them going somewhere or waiting to pick something or somebody up. While the black blinded Audi sedan signifies government related power, the Jinbei minibus signifies small entrepreneurial spirit. 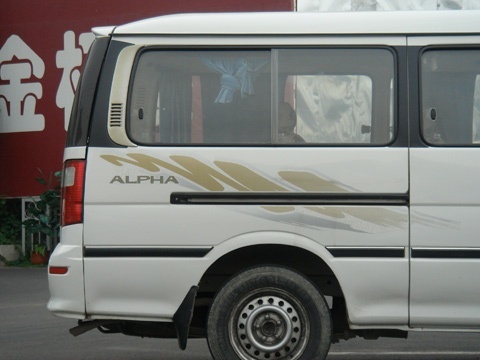 The Chinese made minibus is relatively cheap, it is often bought by an extended family as a shared investment. It brings people to their work, picks up large goods and merchandise. 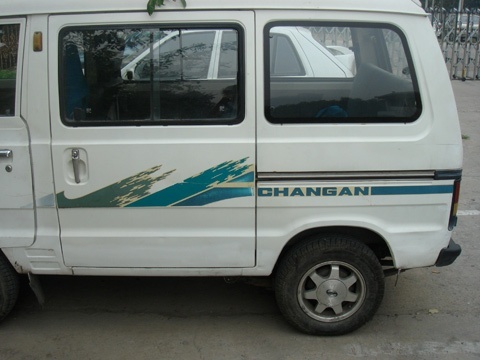 The minibus including a driver is also for rent. 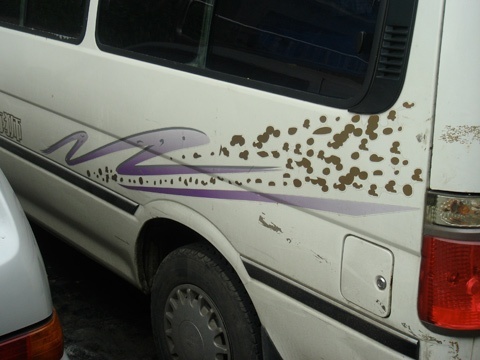 In Beijing there are always many people relocating and the minibus makes a great moving van. Its the ideal way of making a trip out of town or picking up big purchases. 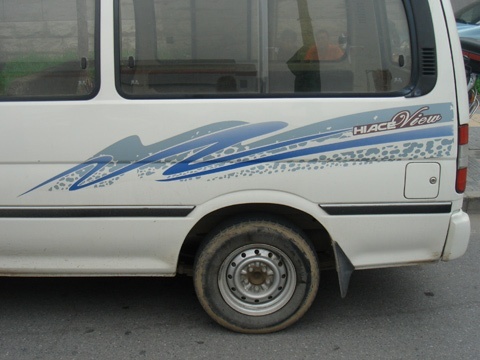 More than any other model car these minibuses are a sign of a developing China on a broad scale, their speed stripes an icon of moving forward. Some 1,200 new cars hit the streets every day, while rush hour seems to be stretching out from early morning to late in the evening. Traffic jams are not the nicest places to be, especially in the winter when people wear gasmasks not to suffocate. In 2008 Beijing will have around 3.5 million vehicles on the road. Around a million cars are taken of the road in august 2007 as a test run for the 2008 Olympics. This to ensure cleaner air and less traffic during the games. Air pollution is seen as one of the biggest threats to a succesfull Olympic event. It would be very bad publicity if results, and athletes, were to suffer from bad air. Deemed to disqualify the gigantic efforts that are being undertaken to generate good publicity, clean air is priority number one. Taking the new line 13 subway that runs above ground, while used to travelling by taxi, is remarkable. It is noticeable how much everything is faced away from the tracks. The view consists mainly of backsides of buildings, walls and untended green. The contrast with the ringroads cant be bigger. They are carefully layed out with a mandatory strip of green next to the road. Rows of trees along the outer ringroads and the expressways, carefully layed out parks complete with fancy fitness equipment along the inner ringroads. Beyond the green there are either impressive façades of enormous office buildings or antique heritage sites like temples or remains of the city walls. The image of the city is geared towards the perspective of the driver. Not owning a car seriously disqualifies a person. It is someone not worth addressing. This way the status of car ownership is even more heightened by city planning.